This entry was posted in aluminum fencing and tagged aluminum driveway gates, aluminum fence, Aluminum fences, aluminum fencing, aluminum pool fencing, aluminum pool gates, aluminum swimming pool fence, metal pool fence, residential fencing, wholesale aluminum fencing on September 29, 2015 by admin. Don’t think that just because summer is coming to an end that you can no longer install privacy fencing around your yard. Fall is the perfect time to spruce up your home’s exterior while improving the privacy and safety of your home environment. Along with the addition of building a deck and adding a patio, the addition of aluminum fencing tends to produce a large return on investment for homeowners. Installing a new aluminum perimeter fence is the perfect home improvement projects for novice do-it yourselfers to begin with. Not only is the installation fairly self explanatory the entire ordering process can be done online from the comfort of your own home. Privacy fencing can be purchased online through wholesale aluminum fence suppliers. Here are some reasons to choose aluminum privacy fencing over other materials that are seen within privacy fencing. As the title suggests, the main purpose of a privacy fence is to give your family the privacy you desire. Even those of us that get along wonderfully with our next door neighbors, we don’t always want to see one another. Nor do you want every random person passing by your home watching your every move. By installing a privacy fence you extend the usable space and your backyard becomes an extension of your home. If you want to relax in the hot tub, nap by the pool or allow your children to play without worrying about the wandering eyes of your neighbors and passing cars a privacy fence is an ideal addition to your space. Another motive behind homeowners wanting to install privacy fencing is the increased security they provide to your home and family. You new grill or patio set is hidden from wandering eyes. Privacy fencing is also helpful in preventing stray animals from entering the space and tearing up your landscape. Yes it is true that initially aluminum privacy fence can be expensive to purchase however spending money on the fence can actually save you money over time. The overall value of your home increases substantially with major home improvements like the addition of a fence. Also, many insurance companies offer discounts to homeowners that add additional security to their homes; privacy fencing is one such security addition that discounts apply to. Homes that utilize fencing and gates to enclose the perimeter of their yards are at a decreased risk of robbery and vandalism. The discount from one insurer to anther can vary but annually you should expect to see a savings in the upper double digits. Privacy fencing has many benefits other than stated above such as a reduction in noise, an increase in landscape aesthetics, safety for pool areas, increases home equity and more. Purchasing wholesale aluminum fence online is not only convenient but also the surest way you are exposed to a variety of available styles, colors and optional features. 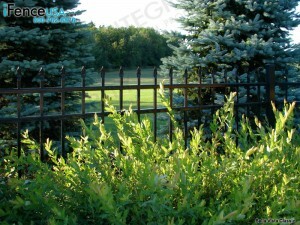 Aluminum privacy fencing is an investment that will last a lifetime and is practically maintenance free. This entry was posted in aluminum fencing, Aluminum Gates, Wholesale Aluminum Fencing and tagged aluminum driveway gates, aluminum fence, Aluminum fences, aluminum fencing, aluminum pool fencing, aluminum pool gates, aluminum swimming pool fence, metal pool fence, residential fencing, wholesale aluminum fencing on September 23, 2015 by admin. There are many solutions when it comes to keeping your property and home away from uninvited visitors. An excellent choice for many homeowners is aluminum fencing panels and gates. High quality aluminum gates and fencing systems can be purchased at a discount online through wholesale aluminum fence suppliers. Homeowners need to choose an entry gate that suite their needs. Installing a high end system provides many advantages for you and your family; the two most important being protection and privacy. Providing security to one’s family is often the most important job an individual has. One way complete protection can be achieved for your family is with the addition of aluminum perimeter fencing and an electronic aluminum entry gate. Installing quality aluminum fence panels has become a priority in homeownership. Leading wholesale aluminum fence providers specialize in not only providing the best selection of fencing for commercial use but also for pool and residential use. Purchasing your fence through an online wholesale aluminum fence supplier is beneficial for more than the cost. An online provider can offer a complete range of aluminum fence and gate styles and colors. 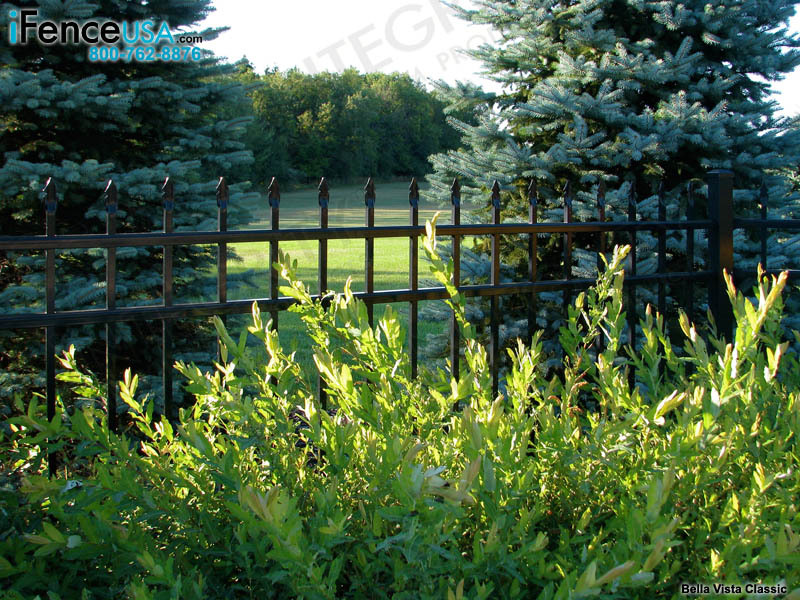 Ornate aluminum fence panels can be purchased to compliment any home exterior and landscape. Whether you are looking for plain aluminum fence panels or something a bit more decorative online suppliers offer a large variety in order to supply a variety of commercial and residential aluminum fencing needs. Online wholesalers have become a trusted source in delivering aluminum fencing to both residential and commercial users. Most have taken on a new degree of customer service where they offer both design and installation assistance to clients as part of the overall aluminum fence purchasing experience. Highly trained fencing professionals are hired to offer support to ensure that all customers understand each and every detail about their purchase. They assist clients with answers and solutions to their doubts and help satisfy any special needs that may arise. Your wholesale customer service professional can provide you with material samples, design ideas, installation instructions and more. 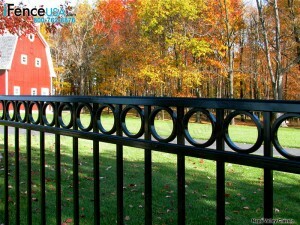 Online suppliers also offer a variety of aluminum fence panels, gates, posts and decorative accessories. If you are looking into getting a high end aluminum fence system local retailers don’t have the same options available as online providers. Choose an online supplier that will offer you a vast understanding of design, manufacturing, installation along with the highest quality materials. It is important that residential and commercial customers are treated the same; getting the most superb service is important throughout the entire process. Shopping online offers you a wide selection of aluminum fencing to choose from without the intense pressure that can come from home improvement stores. The added benefit of immediate customer service via email and phone make purchasing your fence from an online aluminum fence wholesaler the best option. 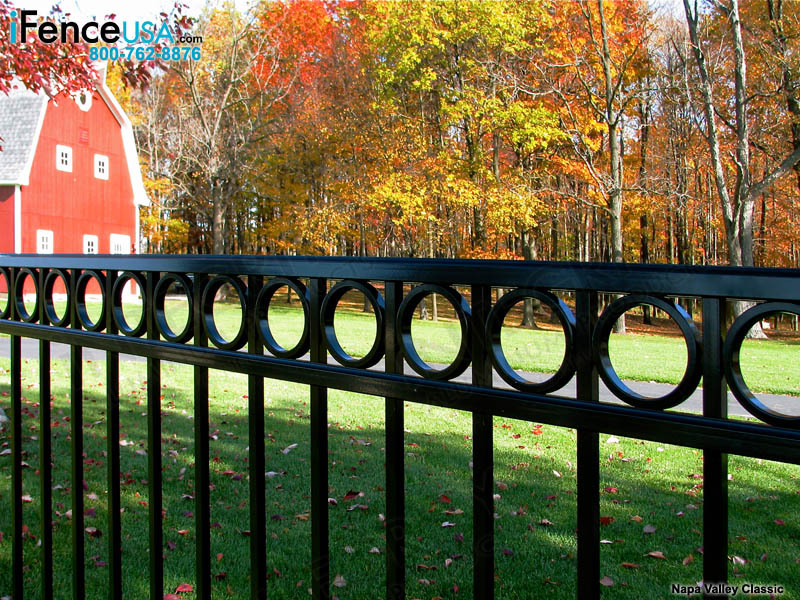 iFenceUSA offers a variety of maintenance-free, no-rust aluminum fences and gates in the industry! Whether you are a pool contractor, a building contractor, an architect, a landscaping professional, or a “do-it-yourself” homeowner looking for value and installation advice, you’ll benefit by buying wholesale aluminum fences shipped factory-direct from http://www.iFenceUSA.com! This entry was posted in Wholesale Aluminum Fencing and tagged aluminum driveway gates, aluminum fence, Aluminum fences, aluminum fencing, aluminum pool fencing, aluminum pool gates, aluminum swimming pool fence, metal pool fence, residential fencing, wholesale aluminum fencing on September 14, 2015 by admin.